On January 4th 2010, my husband, Chris, and I found out we were expecting our first child and thus began our almost year-long journey of becoming parents. was our favorite), read blogs and websites, attended classes, laughed a lot, cried a little, and spent most of our time talking about becoming a family. After five months of education, one thing became clear: natural childbirth was important to us. 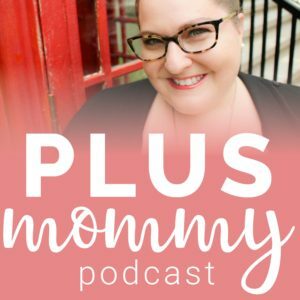 So we hired a doula, fired our OB-GYN, switched hospitals, and selected a midwife. Our drastic change in plans was set to the test on August 24th when I went into labor three weeks early. I woke up at 1:30 a.m. on Tuesday, August 24th, and felt like my pregnancy was nearing an end. I went downstairs to send our doula and my mom an e-mail saying I thought Braeden would come sooner than we expected (thinking a week or two – not that very day). When I stood up after sending the e-mails, I felt something wet running down my leg – my water had partially broke (but I was in such denial I thought I had just peed!). By 2:00 a.m. I woke Chris because I was having contractions. I was convinced it was false labor and I could get back to bed soon since the contractions were erratic. 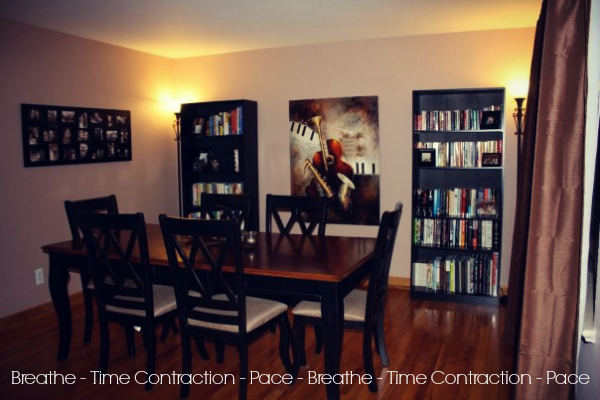 Rather than doing the smart thing of calling our doula, I began pacing around the dining room table for three hours while Chris timed each contraction. I really wanted to lie down but my body just kept telling me to walk (unbeknown to me all of my walking was turning Braeden because he was faced the wrong way). Also, whenever I tried to lie down I’d get a big contraction and pop back up. I think it’s important to note I didn’t know women can experience one really big contraction each time they change positions while laboring. Around 5:00 a.m. we finally did the smart thing and called our doula, Whitney, and she immediately told Chris to get me in the bath. She also told Chris to force fluids and have me eat something. The idea of eating sounded terrible but Chris was so encouraging that I tried. After a few bites of toast with almond butter I was “sick” but getting it all out actually made me feel better. I was trying to make a joke but I was a little serious because the contractions were harder to handle then I had expected. After about forty-five minutes in the tub I felt the need to pace again. By this time we were in touch with Whitney every half-hour and knew a decision had to be made soon if she was coming over to our house or if we were meeting her at the hospital. Related: Do I Need A Doula? I was a good little nester and had almost everything ready for our son’s arrival; everything but the all-important hospital bag! So Chris frantically started running up and down the stairs packing the hospital bag and I resumed pacing around the dining room table, calling out to him every time I had a contraction. We must’ve been quite a funny sight! Chris called our parents a little after 7:00 a.m. to let them know they were going to become grandparents that day! Chris’ parents had just visited us on the tail end of a very long road trip two days prior but immediately prepared to hit the road again for an eight-hour journey from Los Alamos, New Mexico to Denver, Colorado. 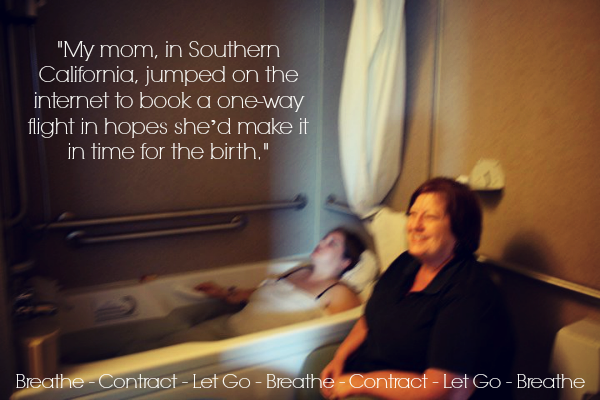 My mom, in Southern California, jumped on the internet to book a one-way flight in hopes she’d make it in time for the birth. We had planned on only having my mom come out for Braeden’s birth; my dad and sister would visit within the next month or two. Shortly after 8:00 a.m., Whitney called and asked if I wanted her to come over to the house or to meet us at the hospital. My response: “HOSPITAL.” By 8:30 a.m. we were in the car and headed to the hospital after six and a half hours of laboring at home. Chris pulled in front of Denver Health Hospital and I got out and told him to park the car. He wanted to walk me in but I knew I could do it on my own. A few minutes after I was in the OB screening room I saw Whitney. She walked up to me, held my hand, and rubbed my forehead with her thumb. The instant I felt her thumb between my eyes I relaxed for the first time since 2:00 a.m. Even though my contractions were getting stronger, they were a million times easier to handle with Whitney teaching me how to ride them like a wave and blow them away. , and watched movies on how to cope with labor but all of that knowledge becomes a blur when labor arrives. I was four centimeters dilated and admitted to the hospital just after 9:30 a.m. When we went upstairs to Labor and Delivery, a compassionate midwife named Magi greeted us with a big smile. She heard about me from the midwife who was handling all of my prenatal care and was thrilled to be working with me. This was such a dramatic change from the cold and routine service I had received in the OB screening room. In the screening room, I had to lie on my back so they could monitor the baby and make sure I was progressed enough to be admitted. In the Labor and Delivery room, I was free to move about as I desired. I ate, drank, and wasn’t strapped to any monitors. I knew I had a wonderful birthing team and Braeden and I was in the best possible hands. From that point on I knew I could have natural childbirth and never once asked for medication! I really enjoyed laboring in the tub because the water felt nice and helped me to relax. Call me crazy, but I also liked laboring on the toilet. There’s just something relaxing about sitting on a toilet. My least favorite place to labor was the bed. I completely understand why women, who are forced to labor in bed, turn to an epidural rather than try to naturally cope through labor. I also can’t imagine laboring without the assistance of a doula and supportive partner. so I didn’t need to stop laboring in whatever position felt best to me at the time. I wasn’t checked hourly for my progression or made to feel like I was on a timeline. Around 2:30 p.m I started having such strong contractions I felt an urge to push and we thought I might be going through transition. No such luck. I was only five centimeters dilated and moved into the tub to try and relax. I was disappointed I had only progressed one centimeter after so many hours had passed. Whitney was immediately reassuring and told me going from four centimeters to five is the hardest. Soon after this pep talk, my mom arrived! I’ll never forget the moment she walked into the bathroom and all I could focus on was the hand sanitizer she had just put on. I’m pretty sure I told her she smelled before I could utter “hello” or “I love you.” Once the smell dissipated I was pleased and she helped me through more contractions. Chris was also there to help remind me to breathe. From this point on I went into my primordial brain and solely focused on moving my baby down. Prior to five centimeters’ dilation, I had gotten the hang of riding contractions. When I felt my body start to contract I did my best not to fight it and breathe through the pain. After the contraction would peak I was able to regain control and exhale the pain away. Birthing is an intense process but the built-in breaks between contractions are such a blessing. Soon after I hit five centimeters I completely zoned out and gave full control to my body. I remember screaming deep warrior cries. Chris later told me you could hear me screaming all the way down the hall from my hospital room. My mom had been there for just two hours and in that short time, I had progressed to nine and a half centimeters! Just goes to show how much I wanted her there and how even my body was holding back for her arrival. I came out of my zone for a few moments while laboring on the birthing ball. I looked at everyone standing across the bed from me and euphorically said “I’m having a baby” and everyone responded with “yes you’re having a baby” and then I repeated myself. It was as if all of a sudden the gravity of what was happening finally hit me. My life was about to be forever changed and my son was about to enter this world. 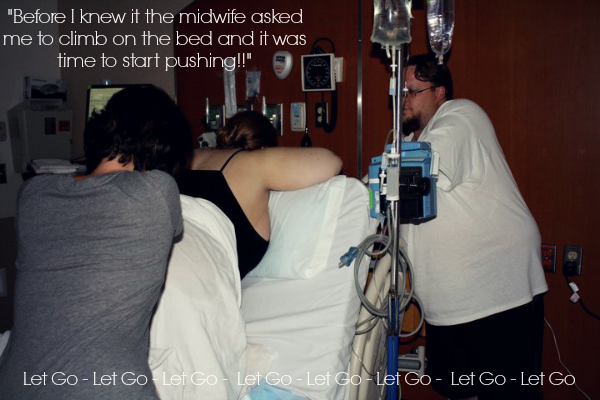 Before I knew it the midwife asked me to climb on the bed and it was time to start pushing!! Now, I had spent months learning different techniques for coping with labor and had spent a lot of time envisioning what my labor would be like. I never once thought about how I would actually deliver my son. Magi could’ve told me, “to have this baby I’m going to need you to hop on your left foot and bark like a dog,” and I would’ve done what was asked of me without questioning it because I was so focused on getting my baby out. Thankfully there was no barking involved and I was just told to climb onto the bed on my knees and lean against the bed that was propped up facing the wall. I had read that sometimes midwives will help you progress from nine and a half centimeters to ten if you get stuck there. I’m not quite sure what that involved but the pain was well worth transitioning from just having contractions to pushing through contractions. Throughout my labor music was played and I remember hearing the song Hallelujah by Jeff Buckley as I started to push. Whitney kept pressure on my lower back and told me to listen to what my body was telling me to do. It wasn’t like in the movies where someone tells you to push and then everyone counts to ten; I just completely let go mentally and gave my body control once more and it was magical. My body knew exactly what to do. We had a birth plan in place that included Chris catching Braeden. Part of me wanted to say, “Are you insane? I’m about to have your son and you want to make sure your white shirt doesn’t get dirty? !” but the other part of me knew Magi saying “hurry” meant Braeden was coming soon. I was ready for the birthing process to be over so that made me happy (plus, I couldn’t have vocalized my thoughts anyway). I pushed for thirty minutes and I could feel everything but it wasn’t intolerable. I was so glad I had decided against medication because the minute my son came out I felt so incredible! All of these endorphins coursed through my veins and I felt a level of happiness I had never experienced before!!!! After sixteen hours of labor my amazing son was born at 5:52 p.m. weighing 6 lbs ¼ oz and 18-1/4” long. Braeden was passed from between my legs into my arms and I remember my first reaction: being shocked that I had created such a perfect little being. We were looking into one another’s eyes when helplessness washed over me because Braeden was limp and blue. This was the first time our birth plan was overridden and Chris quickly cut the umbilical cord because Braeden needed some oxygen. 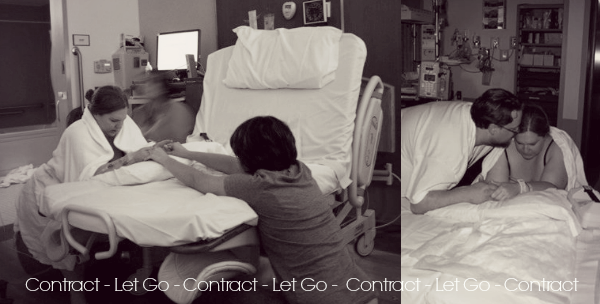 From this point on Chris never left Braeden’s side as he was taken to the nursery to receive some extra care. I joke that I could’ve been hemorrhaging to death and Chris wouldn’t have noticed. Chris was so in love with his son that the world around him seemed to disappear. About forty-five minutes later Chris, Braeden and I had a moment all to ourselves. This was the moment I felt like I had waited for my entire life: the moment two become three and we were a family. About two hours later we were moved to the Mother/Baby Unit. As Chris slept I couldn’t help but be enamored with my son as he laid skin-to-skin on my chest. My mother had always shared the story of her talking to me for hours in a rocking chair soon after I was born. Before dawn, I noticed a rocking chair in the room and gently moved Braeden from my chest to arms and we cuddled in the chair. I rocked Braeden and talked about his limitless future with blissful tears streaming down my face. My life will be forever changed by the transformative experience of natural childbirth. I have a new-found love for my imperfect body that can do extraordinary things. I now know I can accomplish anything I set my mind to achieving. As for Braeden, I now truly understand the meaning of love and I am experiencing a level of joy that I never knew was possible. I love being a mom! 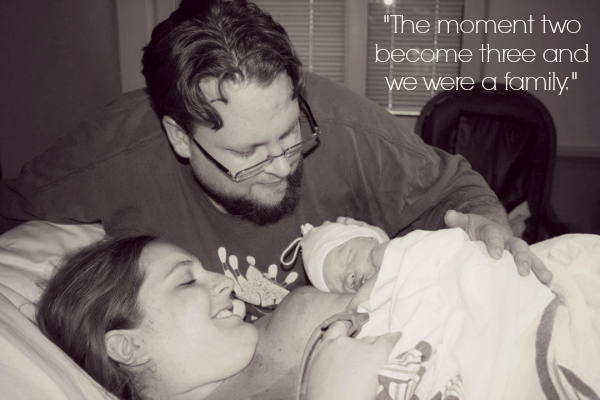 Read even more plus size birth stories. This brought tears to my eyes, Such a Beautiful story and I too knew I wanted a natural birth and am also a plus size Mommy. However my son came 5 weeks early and I wasnt as lucky for having my birth plan stay as what I wanted. I am so happy to hear when womans plans work out the way they are supposed to! Being with you, Chris, and Braeden before, during, and after you gave birth to our first grandchild was one of the greatest gifts you and Chris could ever have given to me. It was an amazing experience and honor that I will never forget. Thank you. I am so happy, and proud, that your birth story inspired you to be open to natural childbirth when your time came and that you carried on the rocking chair tradition that stays forever engraved in my heart and memory. I am so proud of you and all that you have, and continue, to accomplish. I love you! That is such a great story 🙂 Thank you so much for sharing! Very inspirational. Great birth story! Only thing I wish I had seen written differently was about your son being limp and blue, so the cord was clamped/cut and he was carried off…that actually wasn't necessary! He was getting oxygen from the cord before it was taken away. The midwife should have left the cord intact and tried to stimulate his breathing instead….BUT you can't change the past and things worked out (which is most important)…its just a bit disappointing to see how the midwife did so great with the labor/delivery but did an ob/gyn move by whisking away baby when it could have been dealt with in a different way. Congrats on your fab pgcy, birth, and beautiful little boy! My little guy was good and late, born on 9/9/10 at quarter til 9pm weighing 9lbs! I also delivered naturally with a midwife in the UK. @Kearsten – I completely agree with you now that I’ve learned a lot about cord clamping! We were in a hospital so A LOT happened after my beautiful birth experience that wasn’t what we desired. We got pulled into “the system” and it took weeks to pull ourselves out of it (I’ll touch upon that in tomorrow’s blog post). This is one of many reasons that we’ve decided to have a home birth for baby #2. Thanks for your comment! 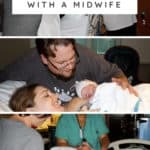 Your birth story is so incredibly beautiful! I read it on Birth Stories On Demand and I was intrigued by your writing. A fabulous blog you have here too! Your birth story for Braeden was the exact birthing experience I wanted for myself with my son. Unfortunately, I had too many complications for it to happen but I'm so glad to see you had a great experience! I also think it's wonderful that you embrace being plus sized. I'm plus sized myself and just reading some of your material has given me a boost of self esteem! Reading this made me cry tears of joy. What an amazing experience you had with Chris and Braeden. I cannot but hope I can experience something similar. Thank you for the moving story of your son’s birth!! So beautiful! Loved reading your story. Jennifer- thank you so much for sharing your story—it brought tears to my eyes while I’m sitting at my desk at work 🙂 I work at DH, so I’ll be birthing there as well, and reading your experiences has made me request to see Eliza, my first appointment with her is the 18th and I couldn’t be more excited. 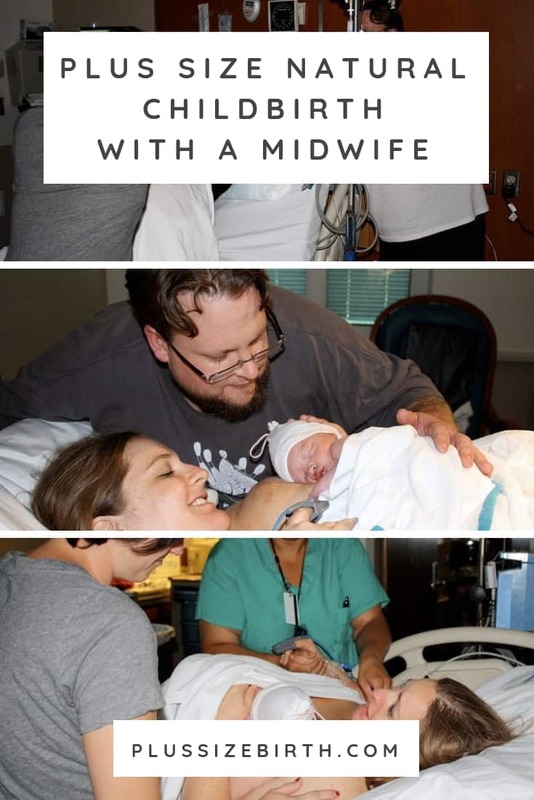 After spending my first trimester and half of my second with the High Risk clinic, I was relieved when they told me I was able to see the NP’s and the Midwives the rest of my pregnancy. I’ll be delivering my son Liam around the 2nd of December at DH as naturally as the Lord will let me! Again, thank you, your stories inspired me to take charge of my delivery and my birth, and as a plus size woman, I never realized how much the “system” tries to take that control away from us.